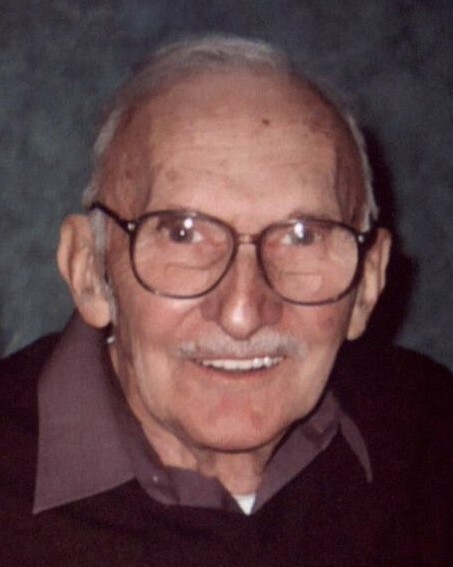 John Koren, of Fair Haven, passed away peacefully at his home, on Sunday, February 10th. John spent his early life and professional years as a resident of Clifton, NJ, then moved to Fair Haven, NJ. John was an Army veteran, serving during the Second World War. After serving in the war, he met the love of his life, Marilyn, raised a family and worked in law enforcement, as a sergeant on the Clifton Police Force. John loved to garden, to walk, to play the lottery, and to take rides to the beach. Most of all, he loved spending time with his family. John was predeceased by his parents, William Koren and Anna Orlovsky Koren; also, by his wife, Marilyn J. (nee Collins) Koren, his grandson, Daniel Beierle, and his brother, William Koren. He will be remembered lovingly by his son, Bill (Brenda), his daughters, Catherine Richards and Nancy (David) Beierle, and by his sister, Eleanor Lindsay. His grandchildren, Christopher and Michael Richards, David and Jessica Beierle, and Alexander and Megan Koren will remember a grandfather who loved them, as will many nieces and nephews whom he held dear. John’s visitation will be held on Thursday, February 14th, from 10 AM to 11:30 AM, at the John E. Day Funeral Home, 85 Riverside Avenue in Red Bank, NJ. His funeral service will take place at the funeral home on Thursday, February 14th at 11:30 AM, The burial will be at Woodbine Cemetery in Oceanport, NJ immediately after the funeral home service. John’s family asks that, in lieu of flowers, you consider a gift in his memory to the charity of your choosing. Please visit John’s memorial website at www.johnedayfuneral home.com.